** spoiler alert ** Much ado about nothing? Hmmm. I think that it was revolutionary for it's time, because no one wrote the truth. This book, and the main character, seem so ordinary today, because we are comfortable with rambling self-reflection. But when this was written, with the irreverent tone and the conflicted teenage angst..it was totally over the top. I do think it is a good look at where society has been in contrast to where we are at today. I think that Holden's character is lovable because he is every teenage boy you've ever met. He is every teenager period. I get why this book has figured so prominently in pop culture, but I don't get the draw with the wacko killers. I recommend it just so you have a frame of reference, when it is brought up in conversation once every year. The idea of growing up being akin to falling off a cliff and dying, is certainly one that many can relate to. 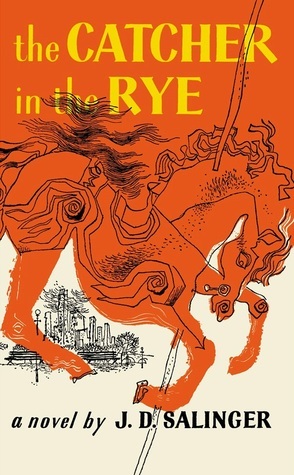 I also can relate to feeling morally obligated to being that "catcher in the rye". Ahead of it's time, at the time.